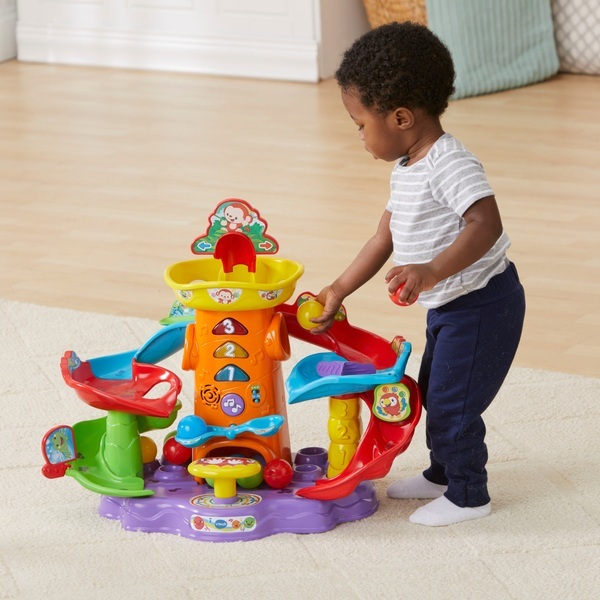 Drop, pop and roll the balls down this colourful tower’s spiral tracks! Push the floor button to pop the balls! Roll the balls down the spiral tracks! Watch as they trigger responses as they come into contact with the multiple spinners and stoppers! Includes 6 multicoloured balls and more! Press the music button for 4 songs and 15 melodies! Push down on the floor button to see the balls pop!